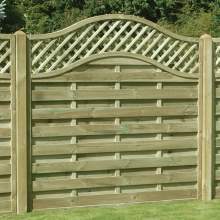 Picket Fencing Panels or Palisade Fencing Panels are great in gardens as they do not obstruct the view or block out the light. 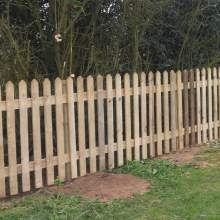 This popular style of fence is ideal for keeping small children and pets within the boundary of your garden. 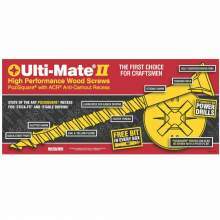 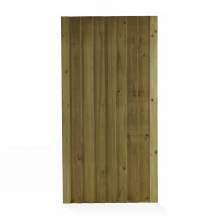 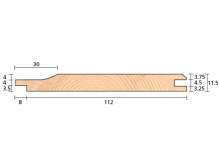 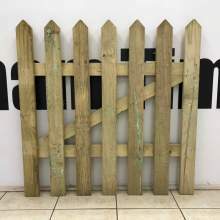 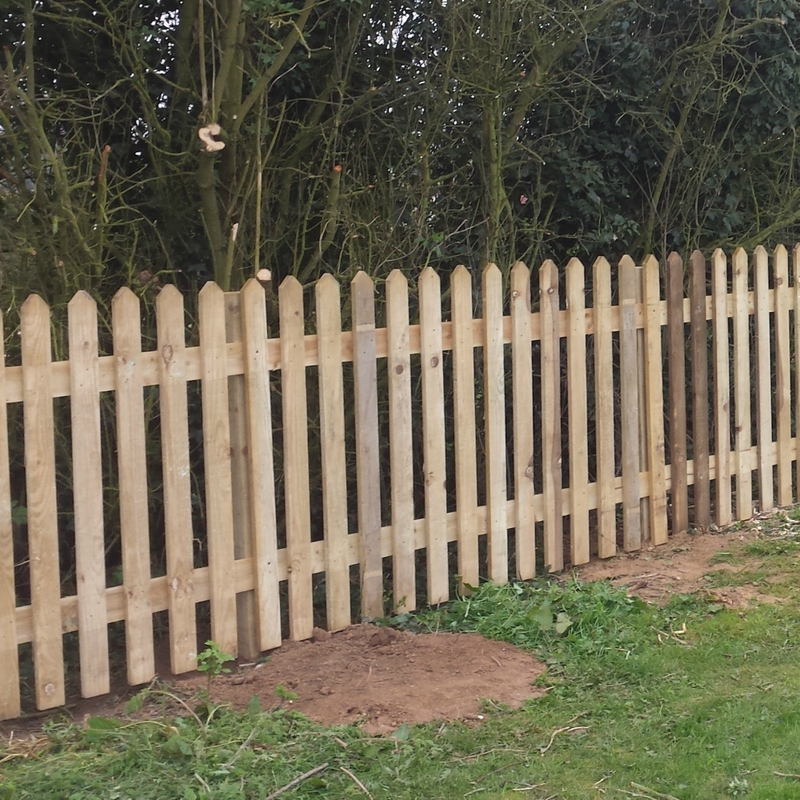 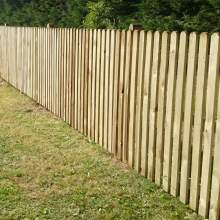 It is easy and fast to put up as it comes in ready made picket fence panels 1.80m long. 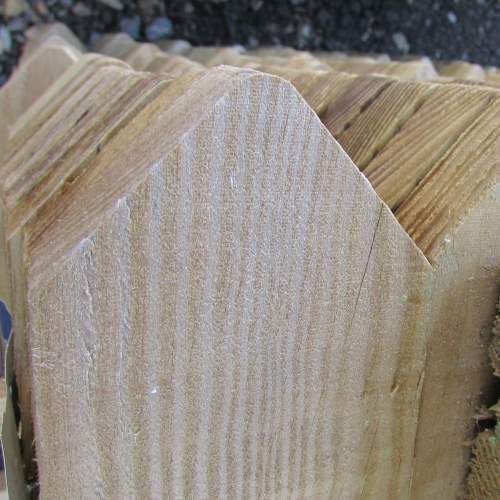 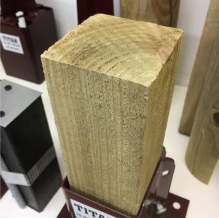 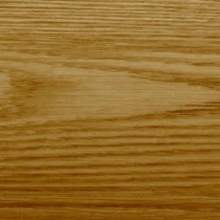 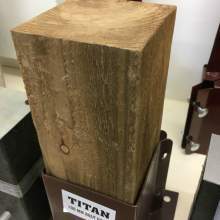 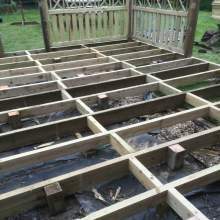 We use pressure treated timber in all our panels. 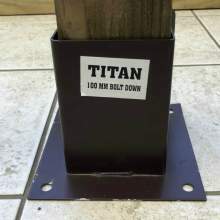 The rails are a very sturdy 22x100mm (1" x 4"). 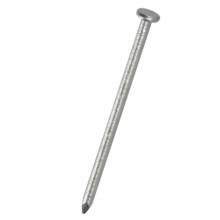 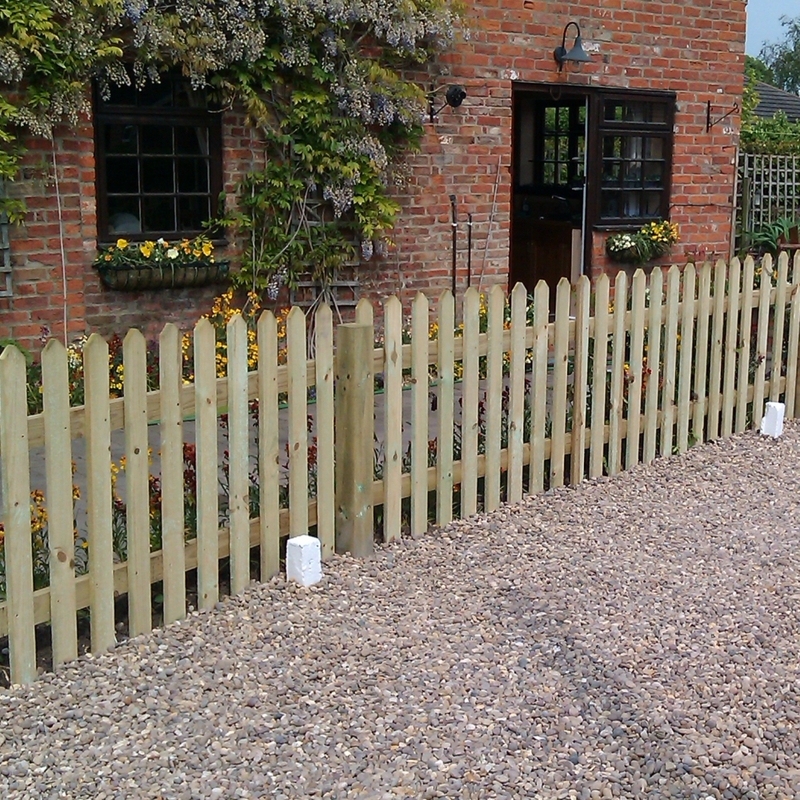 We use galvanised nails to attach 13 picket pales to each panel. 12 of the pales will be nailed twice for extra strength - the last one on the left hand side is only tacked in place. 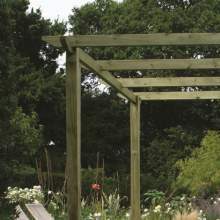 It is designed to be removed and then can be renailed to cover the join between your panels - leaving a seamless finish. 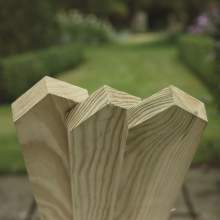 Our picket panels are available in round top, pointed top and flat top. 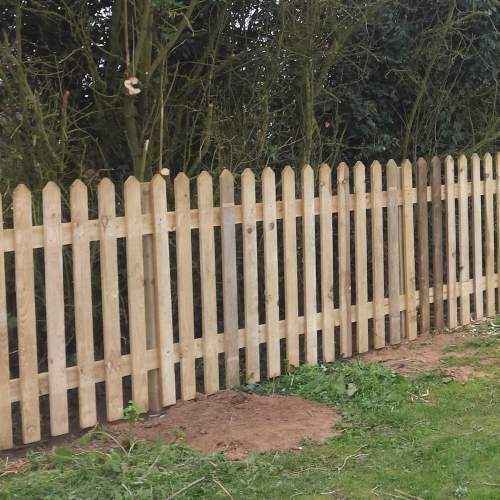 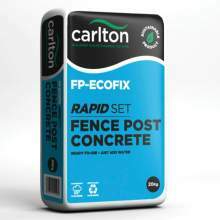 We suggest using a 75 x 75mm or 100x100mm fence post for these sturdy garden picket fencing panels. 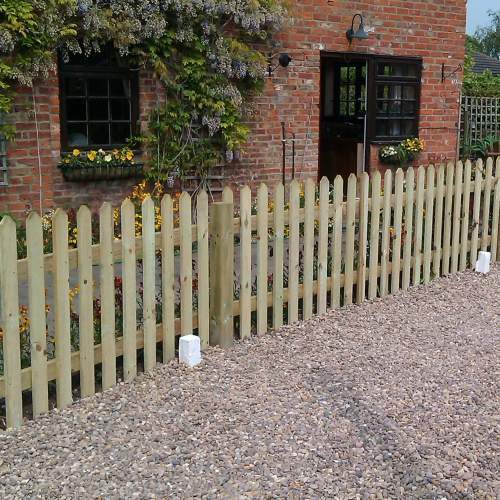 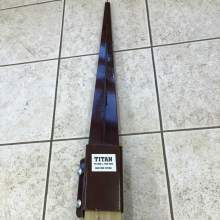 Very sturdy picket fencing at an excellent price. 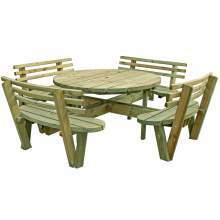 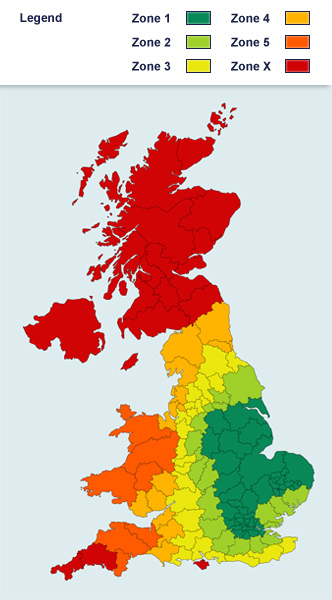 Delivery was really quick, we've had three deliveries now and all arrived within 2-3 working days.